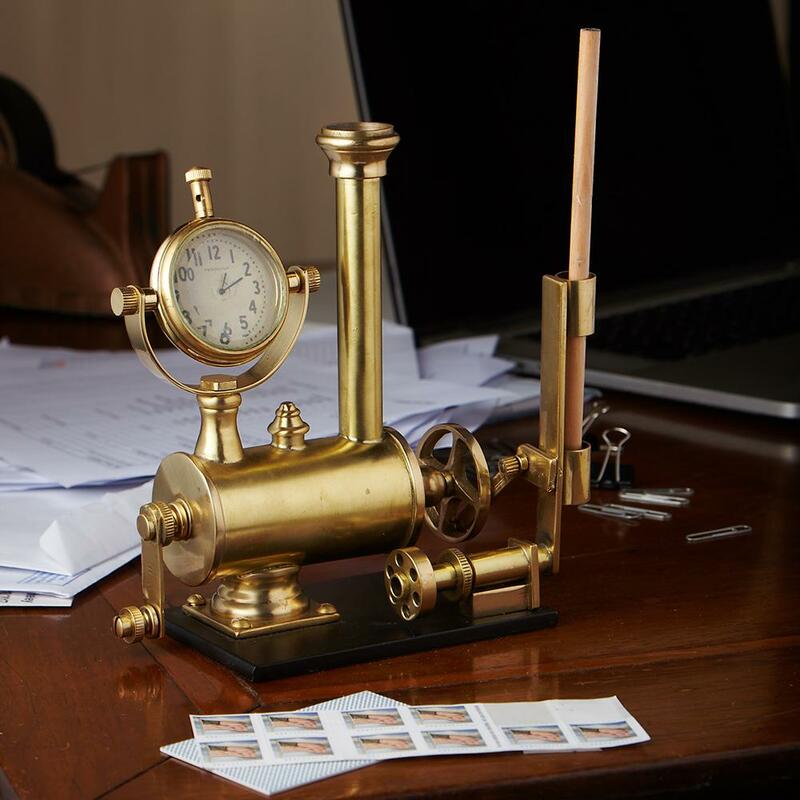 Such a unique desk clock set designed by dismantling a toy steam engine originally made around 1905 and reassembled the brass components into a truly new and unique desk accessory. This handsome contraption features a hinged clock that tilts up and down for the perfect viewing angle. 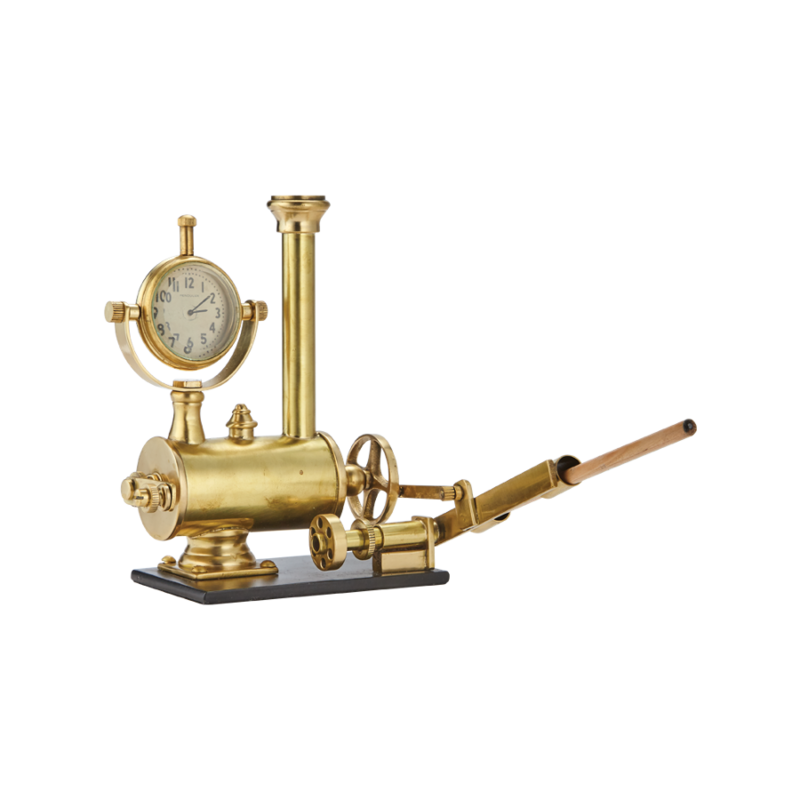 A miniature hand crank raises and lowers an apparatus to dispense your pencil and gives fidgety hands an activity while the mind is lost in thought.